Casey Miner is host and executive producer of The Specialist. An editor, producer, and teacher, her work has appeared on KALW, NPR, KQED, Slate, Marketplace, Mother Jones, PopUp Magazine, Note to Self and Life of the Law. She likes pestering people about their jobs, and believes everyone should have a chance to be on-mic. Julie Caine is The Specialist’s senior editor and the managing producer for Crosscurrents, KALW public radio’s award-winning newsmagazine. She’s also the lead producer of Audiograph, an ongoing KALW series that uses sound to tell the stories of the San Francisco Bay Area. Her radio documentary, Squeezebox Stories, won an SPJ award for best arts and culture reporting in 2012, and her radio work has aired on a wide variety of national programs. She has a master’s degree in journalism from UC Berkeley, and believes deeply in Grace Paley’s assertion that you must be a story listener to be a storyteller. Seth Samuel is a multi-award-winning composer, sound engineer, producer, and reporter, and the reason The Specialist sounds as good as it does. He has a bachelor’s degree in music composition from Oberlin Conservatory and a master’s degree in music composition for film and multimedia from NYU. He is currently composing original scores for PBS and KQED’s Deep Look documentary series, which won the “Best Limited Series – Short Form” award from the Jackson Hole Film Festival in 2015. Seth is also the sound designer and composer for KQED’s podcast The Leap. From 2010 till 2015, Seth produced and mixed KALW’s multi-award-winning daily news-magazine, Crosscurrents in San Francisco. He composed original scores for nearly 100 of Richard Kostelanetz’s Video Fictions and Video Poetry; and worked with McSweeney’s on their podcast, The Organist. Seth produced “Elders By The Bay,” an hour-long documentary by City Visions’ Lauren Meltzer; and he’s the producer for Come and Listen: Jewish Food For Thought, an “audio portal into Jewish culture, history, and religion.” Seth won the National Edward R. Murrow Award in 2014, the Sigma Delta Chi Award from the Society of Professional Journalists in 2014, the Investigative Excellence in Journalism Award from the Society for Professional Journalists in 2014, the First Place National Documentary Award from the Public Radio News Directors Incorporated in 2014, the Public Radio News Directors Incorporated Award for Best Documentary in 2013, and the Excellence in Journalism award from the Society of Professional Journalists in 2012. He lives in Atlanta, Georgia with his wife, cat, and dog. Raja Shah is a radio producer in the Bay Area and produced the Sidewalk Canvasser episode of The Specialist. His own specialty is in finding delightful stories about the seemingly mundane inner workings of San Francisco City Hall. Before entering the world of radio, he got his start in the technology industry, where he helped create Google Trends. He believes you can learn everything you need to know about a person by asking them what they had for breakfast, as long as you ask enough follow-up questions. Leila Day is a producer at KALW in San Francisco. She’s reported for many national outlets, was an Annenberg Fellow, and won two major awards for commentary. Leila responds to the repetitive question, “but where are you really from?” with an eye roll and the answer “Las Vegas.” She produced Episode 10, Snake Lady & Wildlife One. Ariel Dekovic is a nonprofit marketing and program development specialist with a strong track record of community engagement. For the last two years, she served as Interim Executive Director of City Slicker Farms, a food justice organization based in West Oakland, CA, where she led the construction, fundraising, and programming development for a new $1.4M urban farm and public park, with extensive input from and engagement with a diverse variety of stakeholders. Her career in nonprofit program development, marketing and corporate partnerships has spanned across the US and internationally. Before City Slicker Farms, Ariel developed and managed programs at the Collaborative for High Performance Schools; she also worked with KALW public radio in San Francisco to lay the foundation for a strategic planning and audience engagement process, and has extensive experience with organizing and executing successful community outreach events. Ariel has an MBA from UC Berkeley’s Haas School of Business and a BA from Vassar College. Eliza Smith is the fiction editor at WNYC's Snap Judgment; she adapts work by writers like Manuel Gonzalez, Amelia Gray, and Kelly Link into radio plays. She also produces the occasional nonfiction story. Sometimes, she'll freelance for publications like The Organist and The Litography Project. She lives in Oakland with her husband. Cal Tabuena-Frolli illustrates and designs for public radio. 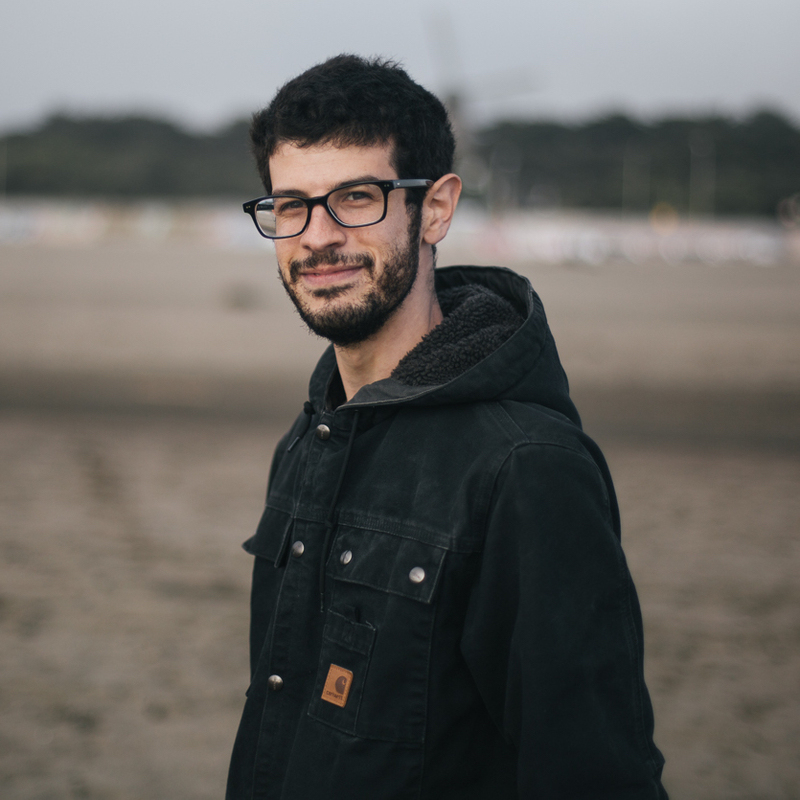 He is the Visual Editor of The Litography Project—an arts journalism collective in the Bay Area—and has illustrated for Love+Radio, KALW 91.7, The Third Coast Audio Festival, Serendipity and AIR Media. He spends his spare time printing Risograph zines and obsessing over how to entwine audio stories and printed imagery. Clare Major is a freelance filmmaker and cinematographer who thinks a camera is the best kind of backstage pass. She lives in Oakland, California. Alyssa Kapnik Samuel is an independent radio producer and documentary and portrait photographer. She's won multiple awards for her radio work, including the National Edward R. Murrow Award for Best Documentary, PRNDI awards for Best Arts Feature and Best Documentary, and an SPJ award for Investigative Journalism. She produced our Specialette on the Digital Missioner, and lives in Georgia with her adorable husband and their delightfully weird dog and cat. Chris Hoff has been a sound engineer with KALW News' Crosscurrents for about seven years now, and before that he volunteered and reported for the show starting in 2006. The road to radio was a circuitous one: Hoff's undergraduate career in Classics left him aimless, professionally speaking; his zeal for Pindar, Homer, Thucydides, and Virgil could not earn him a living, so in 2002 he floated around, first to Weimar, Germany, then to Berlin. It was in Berlin that Hoff uncovered his enthusiasm for the then-burgeoning internet radio phenomenon known as "podcasting." For two years he made podcasts with a buddy of his until he decided to get more serious with the medium. So after getting his feet wet in broadcast journalism at CNN Berlin in 2006, Hoff moved back to San Francisco, met Holly Kernan and Ben Trefny at KALW, and settled into his work with the fabulous Crosscurrents team. Quoth Hoff, "It is satisfying to have acquired a practical skill after so many years of dabbling and dilettantism." Chris Hoff is also the co-creator of the 90-second podcast The World According to Sound, which has been featured on NPR's All Things Considered. He believes in this new audio project very much.